On a Sunday in May 2008, an F-5 tornado struck the town of Parkersburg, Iowa, killing eight people and destroying 250 homes and businesses within 34 seconds. The next day, Parkersburg's beloved football coach, Ed Thomas, made a stunning prediction: 'God willing, we will play our first home game here on this field this season.' One hundred days later, the home team scored a victory on the field they dubbed 'The Sacred Acre,' serving as a galvanizing point for the town to band together and rebuild. But just as Parkersburg was recovering, another devastating tragedy struck. 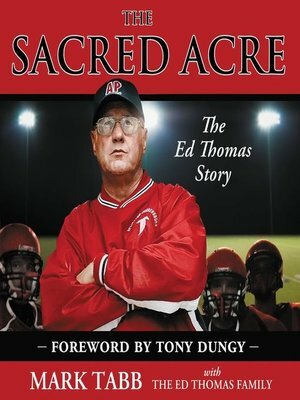 While working with a group of football and volleyball players early one morning, one of Ed's former students walked in and gunned him down point blank. Ed Thomas was 58. The murder of this hometown hero spread across national news headlines. Ed's community and family reeled from shock. Yet the story doesn't end here. What happened next proves that even a double tragedy is no match for faith, love ... and the power of forgiveness. Mark Tabb has authored or coauthored more than thirty books, including the number one New York Times bestseller, Mistaken Identity.